Deb Marcellus Schuler has been a member of Iowa Women in Agriculture since 2000, serving as president from 2012 to 2015. In 1992, she and her husband Greg purchased a farm southeast of Atlantic, where they operate a diversified business. Deb graduated from the University of Iowa. 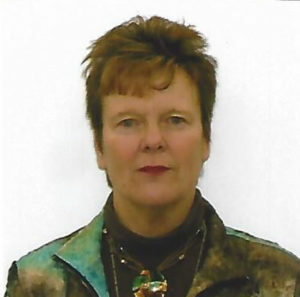 She is a partner with Smith Land Service, Co., a farmland brokerage, management, and appraisal firm where she’s worked for 31 years. She has her salesperson and crop insurance licenses. She has been a Cass County Fair superintendent for 14 years, and is a former Annie’s Project participants and facilitator. She served as Cass County Pork Producer secretary. Deb is past president of Kiwanis Club of Atlantic, as well as the Nishna Valley Family YMCA.